Listening Time: 9 hrs. 26 min. And once again audible has assisted me in getting to a book that I've wanted to read for quite a while now and keep getting derailed on my way to it. 'Lord Mouse' is that little bit of different that I like to get in my reading diet from time to time. I loved the fact that Lord Mouse, our hero if you will isn't a big, brawny alpha male and while he can hold his own in a fight. He's got brains and knows how to use them and then we have Garron who is the big, brawny, sorta' alpha male that Mouse has been contracted to rescue. Lord Mouse was an adventure filled with action. This was a mix between the adventures of Robin Hood and a good old fashioned swashbuckler with a touch of fantasy and a dash of romance thrown in for good measure. One of the best parts of this story for me was that even though I knew Mouse and Garron were going to be the MCs in this story and they would end up together. I honestly have to admit at the beginning when they first met I questioned how this would be possible. It just seemed like they'd have an easier time bickering and snipping at each other than actually falling in love. It was awesome...no other word for it, watching these two go from basically wanting to throttle each other to two men in love was more than a little entertaining. My only real niggle was with the ending of the book it was for me a little too predicable and while I liked that our heroes got to be together. I think I would have like it better if things had been a little different...and that's all you're getting about that because it's the ending and I'm going to spoil that for anybody if I can help it and I can. I know the second book in this series has already been released and I'm really looking forward to reading it. I highly doubt that I will seek out the audio book for it...you see this is my dilemma...'Lord Mouse' was narrated by Joel Leslie and for whatever reason and I really haven't quite figured it out. This narrator just doesn't work for me. I'm not saying he's bad because I really and truly don't believe he is but just like with authors, not every narrator is for every listener. I've tried a couple of books by this particular narrator and I end up being not quite happy with the character voices that he gives me and again it's not that I think he's bad. I have friends who have really enjoyed some of his other books and I don't think they're wrong about it. I just think it's not working for me. 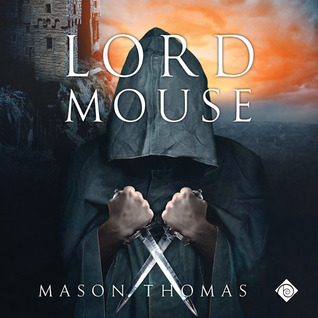 I guess at the end of it all what I'm trying to say is I gave the book 'Lord Mouse' 4 stars because for me it was a really fun and enjoyable story but for the narration it's just 3 stars...not a bad narrator just not the right one for me. 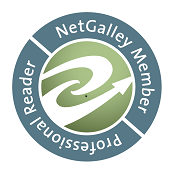 Seriously, if you like audio books check out the sample wherever you buy your books from and then decide. You may love him, I didn't but different strokes for different folks, right? An audiobook of 'Lord Mouse' was graciously provided by the publisher in exchange for an honest review.